As tension rises again, LLDC and West Ham both seem to forget that their public arguments continue to scar London Stadium's image. Is there even a winner in this latest conflict? London Stadium is a venue which, like none other across Premier League, would really use some stability and better press. 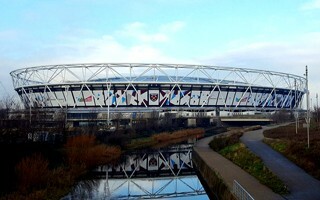 That just isn't coming, apparently, as the latest chapter in ongoing conflict between the operator (LLDC) and West Ham United is unfolding in dozens of news articles published since last week. As if it wasn't enough that it's been drowning in publicity crises since the very conception, from inflation of initial cost, through similar issues with reconstruction, the controversial deal signed with West Ham, poor financial results and ineffective (yet costly!) campaign to secure naming rights. As a reminder, WHU pay under £3 million of annual lease, while further revenue for LLDC can be generated from catering. The operator would also get almost all of the naming rights deal, should one ever be secured. It didn't take long for West Ham to respond and it wasn't a mild response, too. In a special statement vice-chairman Karren Brady suggested the LLDC is intentionally misleading the public and the Assembly, while she also claimed to be 'staggered' by the fact that London Stadium is failing to turn a profit. Even though she must have known it before, as did we. “In our view, the actual elephant in the room is the E20's [LLDC's] failure to manage the operating costs competently.” Brady wrote in her response. She also claimed that LLDC is actually cashing in some £10 million per annum from cooperation with West Ham, even if minority of that amount comes directly from the lease. The football club has since denied the request for retraction. It's not the first, not even the fifth time the two sides are in conflict. It seems even the most innocent issue cane be weaponised by LLDC and WHU. Recent request by the team to lay new artificial turf in claret instead of green was rejected as it would lower the potential naming rights value of the stadium. While West Ham pledged to cover the replacement cost, LLDC asked for the club to add similar amounts (over £300,000 per annum) to their lease fee instead. This follows disputes over capacity and shares in matchday costs, among other. While it may be destructive to the stadium's public image, it seems both the Premier League side and LLDC will continue with their stance. It's no secret that WHU would prefer to fully take over at the stadium and poor financial performance by LLDC makes it more probable, even if still only hypothetical. Meanwhile, LLDC faces 97 more years of running at a major loss if the current lease conditions are to be retained.